I spent the majority of my 30th birthday driving home from San Francisco. Some people may say this is not the best way to spend an Important Milestone. But for me it was perfect. I got to talk to friends and family, I listened to podcasts and music, and I got the hell out of California. It’s good to be back in Oregon. Last weekend I was at APE (the Alternative Press Expo). I’ll provide a full report soon, but suffice to say it was a lot of fun and I even sold some Falling Rock books in the process. Many thanks to my awesome table-mate Kenan and his lady friend Cate, who, despite living on the wrong side of the country, made the whole event fun and over too quickly. San Franciscans kind of remind me of people in Portland. They dress similarly and both cities have a thriving arts community. 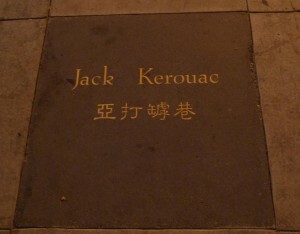 For some reason, the Chinese placed this tile in Jack Kerouac’s honor. 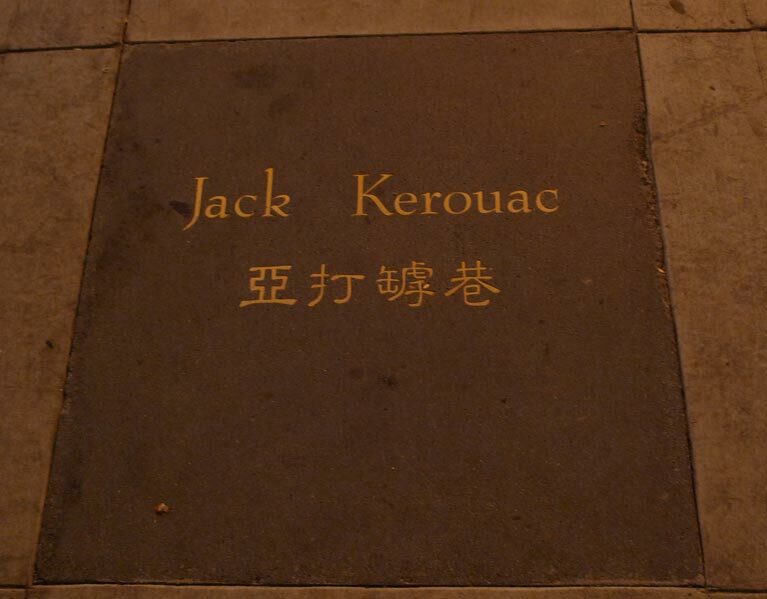 Was Kerouac a Chinese hero? 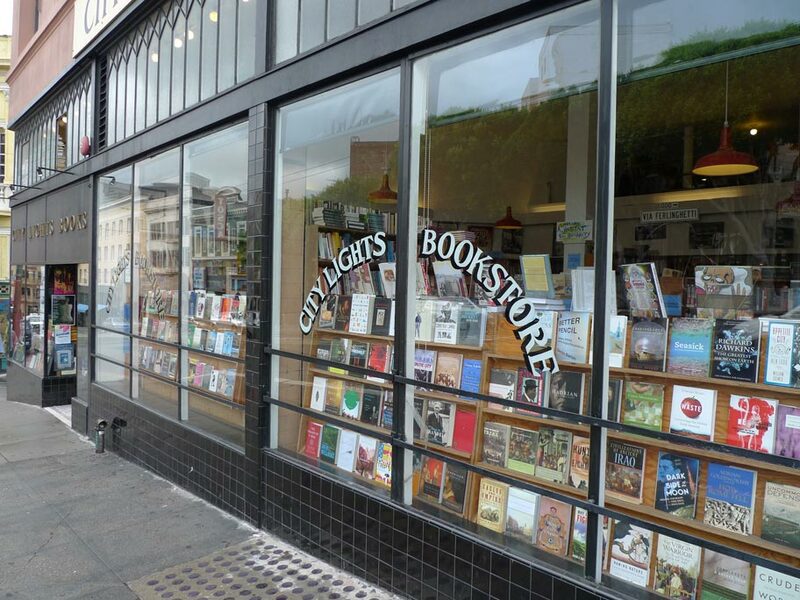 Did Mao encourage public readings of Dharma Bums? The main question is, now that my youth has officially died, what is in store for me? 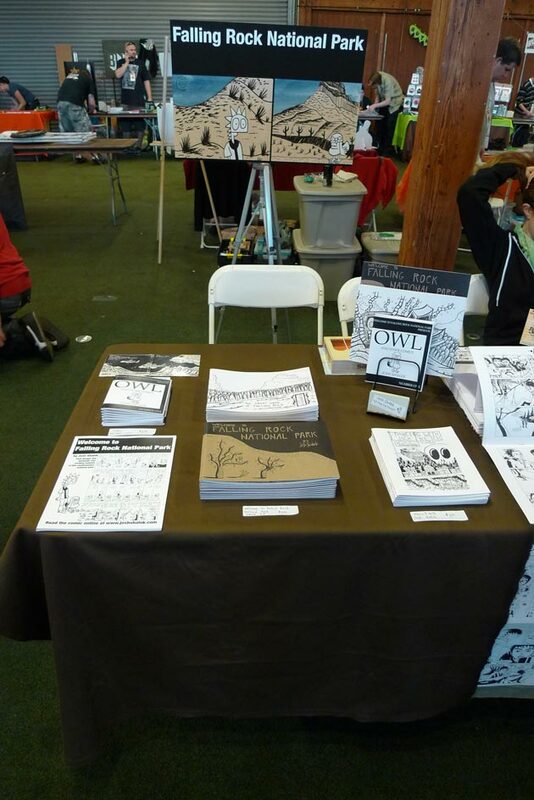 I’m happy with my accomplishments so far, but there’s still a lot of comics left in this tired old body. 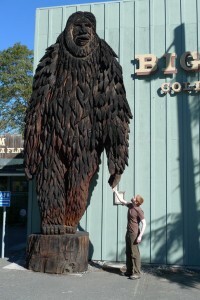 One thing is certain: the rest of my life will be dedicated to finding and befriending the elusive Bigfoot.